If you are nodding your head and understand the plight of the "hurry up & wait" parent, I have the perfect book for you. Year of Little Lesson Plans by Courtney Loquasto is an entire year of 10 minute, smart, fun things to teach your child each weekday. The activities are quick and easy. You can do many of them in the carpool line or while you are waiting for supper to finish cooking. Basically, it's your best friend when you have a few extra minutes and want to do something meaningful with your child. The activities in Year of Little Lesson Plans are geared toward kids ages 3 - 8. (Although, many of the plans can be discussed with older kids too!). Each calendar week has a theme and the daily activities or discussions center around that theme. Some of the themes include: Family Tree, Planting a Garden, Bugs, Musical Instruments, Manners, Apples and Money. 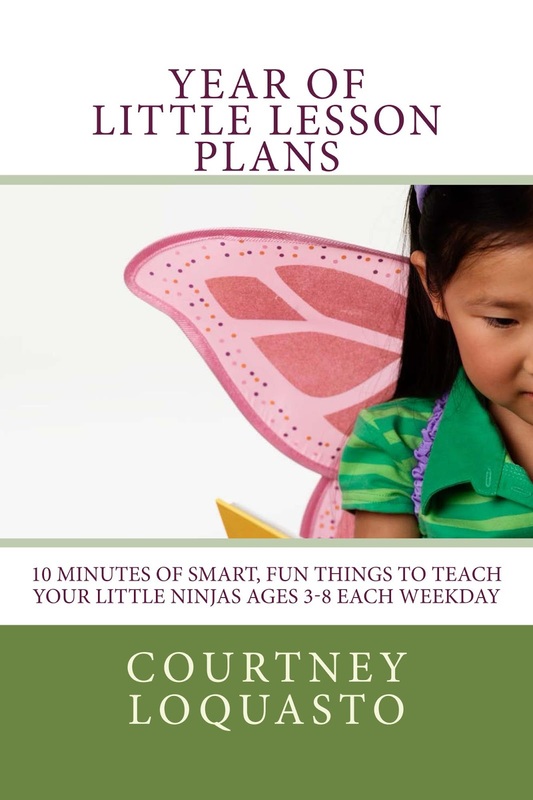 Courtney also has a website, Carpool Ninja, where you can get additional tips for family life and making the most out of the time you spend at home. Courtney and I met on Twitter last year and soon discovered that not only did we share parenting interests, but that we live in the same area. Small world, right? We are big fans of each other's work so she graciously sent me a copy of Year of Little Lesson Plans. If you are a busy parent, trying to squeeze quality activities into your daily life, you will love this book. And, guess what.....you can enter to win a copy! The Whole Lotta Family Love Giveaway includes a copy of Year of Little Lesson Plans. The giveaway ends on Friday, February 22, 2013 so what are you waiting for? Click on over here and enter the giveaway!